Some of Vermont’s finest hemp-derived products were on display at the state’s inaugural Hemp Fest – and the event surpassed the expectations of attendees, exhibitors, and the organizers alike. 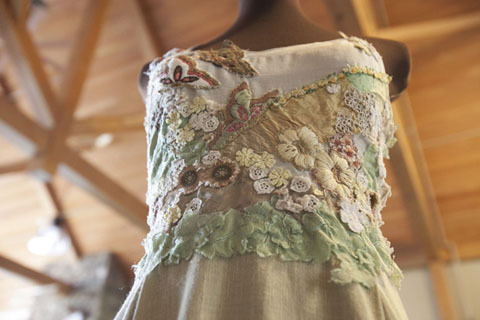 Featured were more than 20 exhibitors, from hemp cultivators to CBD producers to ancillary businesses — including the usual, such as web designers, and the not-so-usual, such as a hemp-fiber fashionista. The latter was one of five finalists for the event’s business pitch competition, sponsored by Purple Fox Engineering, an Essex Junction prototype production shop, which featured a $1,000 cash and a $1,000 in-kind services prize for the winner. 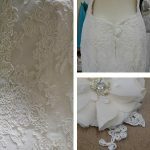 A handmade and hemp-based wedding dress on display at the Tara Lynn Bridal booth during the inaugural Vermont Hemp Fest. 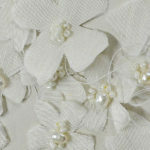 Tara Lynn Scheidet, 38, the proprietor of Tara Lynn Bridal whose handmade custom clothing is a mix of hemp and silk, started her business in 1999 – moving it to Vermont in 2005 – and said now that the state’s industry is maturing she believes it’s the perfect time to secure financing for the bridal line. 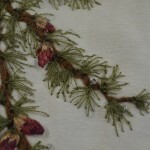 She discovered hemp fiber at a shop in Hell’s Kitchen while attending the Fashion Institute of New York City. “I wanted to take what I love doing – I love making clothes, I love fashion – and make it … more environmentally conscious,” she said in an interview on the exhibitor floor, adding that after starting to work with hemp she became an activist in addition to designer. 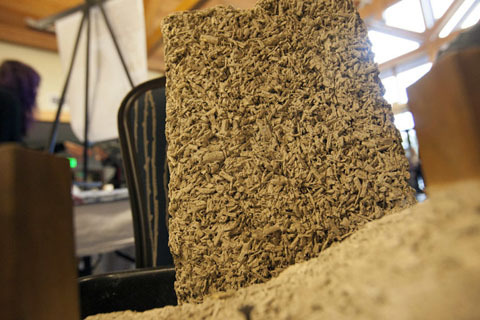 Hempcrete — an efficient and environmentally friendly construction material made from industrial hemp — on display at the Hempfully Green House Healing booth, organized by Emily Peyton. Emily Peyton, another longtime hemp-centric entrepreneur and former Vermont gubernatorial candidate, was pitching not just her business, Hempfully Green Healing House, but was also hoping to garner interest for a CBD co-op, which would be constructed from hempcrete. She said the “biggest challenge” for her long-term co-op vision has been “a financial hurdle” but in the meantime she has been growing hemp and making “foodie items” including hemp shortbread cookies, hemp pesto, and Zemp cider — which contains living hemp leaves, kale, mint, aloe, lemon, and black cherry juice — with hemp seed and oil. She envisions the co-op being constructed in a populous area, such as Burlington, and eventually being franchised to other entrepreneurs throughout the nation. 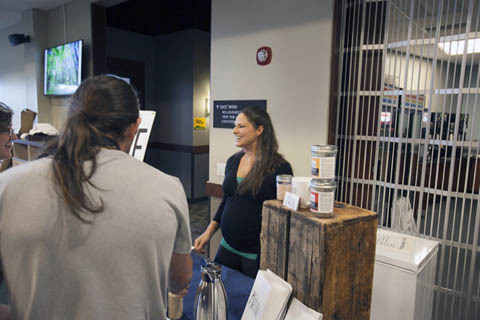 Rachel Collier, creator of The Simmering Bone, introduced her CBD-infused bone broth at the event and ultimately won the event’s business pitch competition. The big winner of the evening, though, was Rachel Collier, whose bone broth company pitch wooed the competition judges. Bone broth is produced by slowly simmering animal bones, joints, and connective tissues with herbs and vegetables and the concoction is purported to provide immune system support and help healing processes. At Hemp Fest, her company, The Simmering Bone, introduced a CBD-infused broth, which offers similar therapeutic benefits to broth, she said. Her process involves extracting as much of the collegian as possible “because that seems to be where most of the health benefits lie.” Collier explained that fall was prime “broth season” as farmers have begun to slaughter, and bone broth makers help farmers put the whole animal to use. She indicated she would use the cash prize to purchase bones for broth production. Following her competition win, which Collier said would “give her a leg-up this broth-making season,” she noticeably held back tears and said simply she was “so excited” while hugging each of the three judges. Collier wasn’t the only vendor who unveiled a product at the event, as Green Empire Brewing gave away free samples of their hemp-infused Chill Session IPA brew to attendees throughout the day. 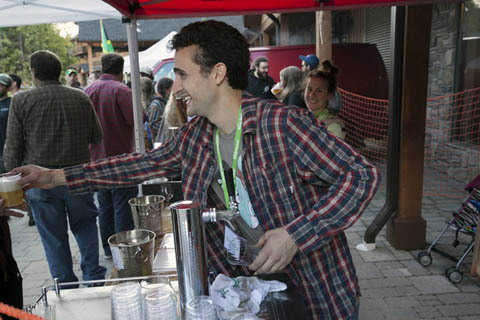 Evan Vacarr serves a cup of hemp-infused beer to a Vermont Hemp Fest attendee. As of 7:00 pm, he admitted he still hadn’t kicked the 15-gallon keg, but he anticipated serving at least 1,500 pours throughout the evening. “Good launch, really good launch,” he said. For state Sen. John Rodgers, who represents Vermont’s Essex-Orleans district and believes he is the only state lawmaker to hold a hemp cultivation license, hemp represents a way for small-scale farmers in the state to make some money from their land. Rodgers said he was surprised at not only the “fountain of knowledge” on display at Vermont Hemp Fest, but also the overall interest as evidenced by the constant stream of attendees. Presently, the senator is seeding his plants, hoping that he can up his grow to about three acres next season. Although he’s not entirely sure what his end-product will be, he said he is considering CBD extraction, which was “one of his main interests” for attending the event. 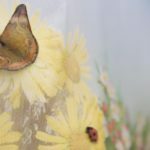 “People didn’t know what to expect because we have never done anything like this before, Vermont has never done anything like this before,” she said, adding that while she and co-organizer Eli Harrington has a “loose” idea what they were getting themselves into, they were both thrilled with the number and diversity of the attendees.